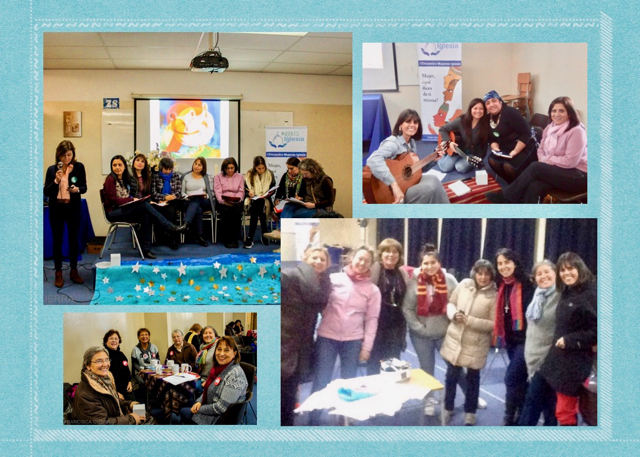 Chile: First Meeting of "Mujeres Iglesia"
Soledad Tejeda, Magdalena Muñoz, Francisca Guerra, Judith Schonsteiner, Carolina del Río, Lourdes López fmm, Carola Reyes, and Bernardita Zambrano rscj belong to a group that has been reflecting for the past year on the role of women in the Church. In order to take this concern a step further, they began to work together with the idea of involving other women in different areas of the Church and in the country. 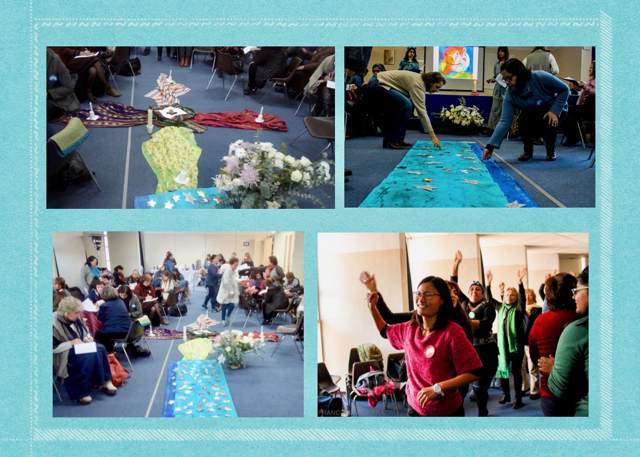 This full day meeting, called by women for women, took place in Chile on the 10th of June, at a centre run by women, the College of the Company of Mary. That was followed by an enlightening intervention by the theologian Carolina del Rio, who helped us to understand some theological concepts from a woman’s perspective. She also brought us up to date with steps that the Church has tried to take during the pontificate of Pope Francis, but have not yet moved forward and are for the most part stalled. Aware that we cannot wait for changes to be initiated by the Institutional Church, in the third part of the day we outlined some possibilities that each one can do from their given ecclesial spaces. There was also an expressed wish for this accompaniment in becoming aware and in searching for a broader platform to proclaim the good news be continued for women who keep believing in the plan of the Kingdom of God, that was so loved by Jesus. There were profound times of prayer, remembering significant women in our faith story, and women in the history of Salvation. There was an opportunity to go deeply, with the vital strength that comes from the gift of being women. We danced, and that was key to returning to a place of joy, self-confidence and hope. The meeting ended with a meaningful liturgy, felt and lived from the gut that had been infused by Ruah all the day long, inviting us to remember Jesus at the last supper, enabling us to experience a singular moment of communion. The soil was prepared, the seed was sown, the women treasured in their hearts the song of hope and promise: Ruah, Ruah, breath of God in us; Ruah, Ruah, Spirit of our God.